Search Engine Optimization aka SEO is the art of discovering what potential clients are searching for and creatively placing that information on the website to attract search engines & visitors. There is a sea of competition out there on the world wide web. 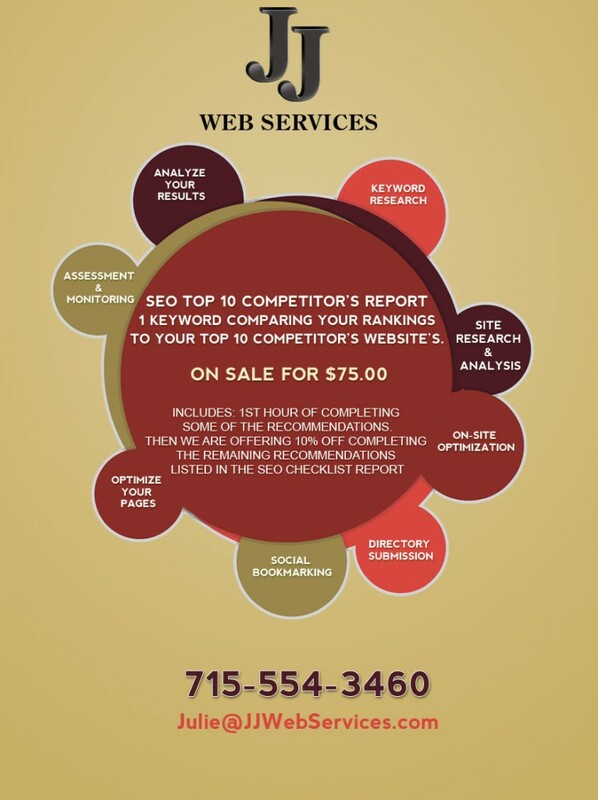 If you want to come out on top, top of the search results, top in sales – search engine optimization is a must! Is my Internet Marketing lacking somewhere? How is it that my competitor is ranking higher on my favorite keywords? Is there relevant traffic coming-in? What are the strengths and weakness of my website that can lead it to success? Why is the conversion ratio so low for my website? Our league of brilliant minds can answer questions regarding SEO/ SEM. You can get all the answers you seek and more with our incredible in-depth keyword analysis report and SEO Audit Report. The reports will cover all the parameters that effect your website’s performance in anyway. After the initial consultation and understanding your requirement, we will research your market and provide you with all the necessary information you need to make an educated decision. At JJ Web Service, we have trade secrets that sets our clients apart from the rest. To guide your SEO campaign in the right direction, our research and SEO analysis reports a can help you take your SEO campaign much higher than before. Top ranking in Google – Google is the solution to your business’s success. Let the experts make you popular. If you search on your best keywords, you will see the sites with higher search engine rankings. You need to rank higher than those top sites to obtain traffic for your competing content. Our SEO tips, keyword ranking reports and keyword ranking analysis services can optimize and help you boost your traffic and profits. Your success depends on unique content, understanding your market/keywords and also how many sites have linked to your site as a reference point. After all, better keyword ranking is the first step to increased web traffic. 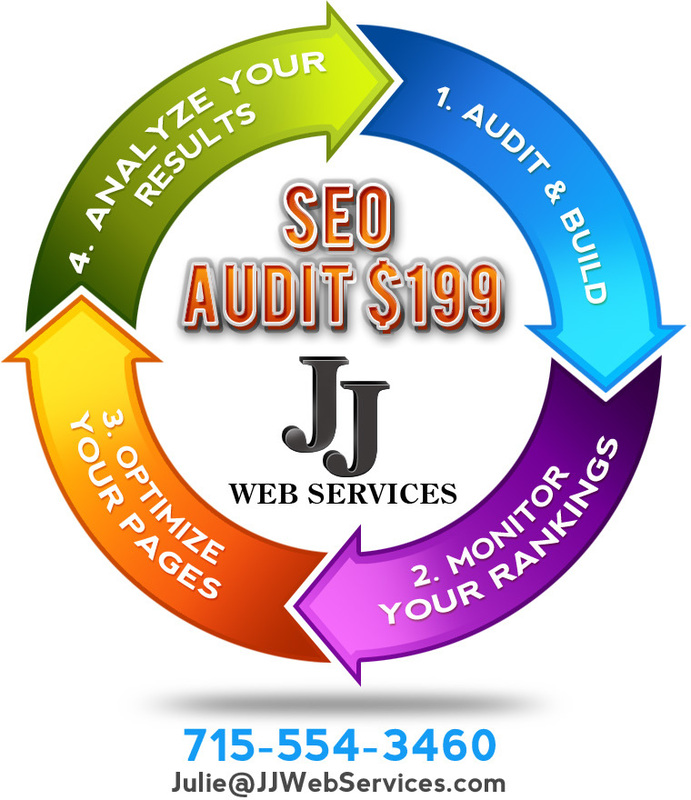 Based in Balsam Lake, Wisconsin, JJ Web Services provides Search Engine Optimization Services to local businesses in Polk County, Burnett County, Barron County, St. Croix County and nationwide.